Dr Paini arrived in CSIRO in 2007 as a postdoctoral fellow and became a research scientist in 2010. To date, Dr Paini has been exploring and using self organising maps (SOM), a type of artificial neural network, for invasive species modelling to generate indices for establishment likelihood for large numbers of species simultaneously. Dr Paini also has interests in network theory and human transport networks (e.g. shipping networks, air networks, informal trade networks) in the facilitation of invasive species spread around the world. 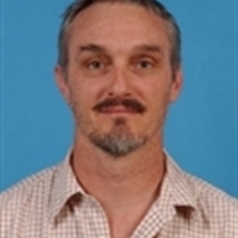 Before coming to CSIRO, Dr Paini worked for three-and-a-half years investigating the ecology of thrips and their natural enemies at the University of Florida. This work included studies on competition, optimal oviposition, foraging strategies, predator spatial tracking of prey, non-crop host use by thrips species. Previous to his thrips research, Dr Paini's doctoral research involved studying the impact of European honey bees on Australian native bees.